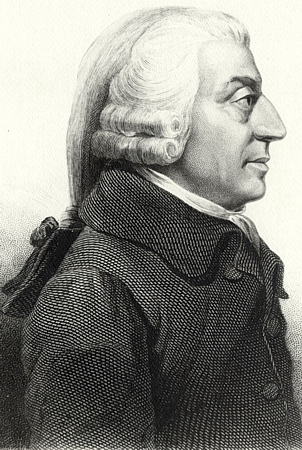 ~ Adam Smith, The Theory of Moral Sentiments, Part I, Section I, Chapter I.
Adam Smith was born in Kirkcaldy, Fife. His father, a lawyer and civil servant, died six months before he was born. Smith grew up with a particularly close relationship to his mother, who encouraged him to pursue his scholarly interests, and sent him to the Burgh School of Kirkcaldy, which was regarded as "one of the best secondary schools in Scotland at the time" 1. At the age of fourteen, Smith entered the University of Glasgow, where he studied under the eminent scholar Francis Hutcheson; Hutcheson's teaching brought out Smith's passion for free speech, reason, and liberty. He went on to Balloil College at Oxford, but found the atmosphere of the English university far inferior to that of its Scottish counterparts. In Book V of The Wealth of Nations, he attributed this to the large endowment received by English schools, which made professors' incomes independent of their teaching abilities, and the fact that distinguished men of letters could find more lucrative employment in the Church of England. He originally intended to study theology and join the clergy, but was persuaded otherwise by what he learned from the work of David Hume, with whom he would later share a close friendship. Smith's time at Oxford was unfulfilling and unfruitful for his life's work, save for what he taught himself from the multitude of books he took out from its large library. Before his scholarship was completed, Smith began to suffer from shaking fits, and subsequently dropped out. This did not hinder him, however, from obtaining the Chair of Moral Philosophy at the University of Glasgow a few years later, where he befriended other members of the Scottish Enlightenment, such as Joseph Black and James Hutton. 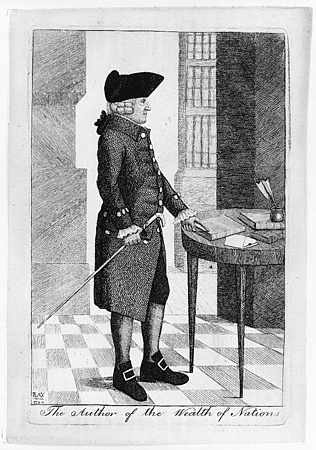 Publication of The Theory of Moral Sentiments in 1759, Smith's first major work, caused his reputation and popularity to explode, and students from all across Europe entered Glasgow to attend his lectures. The Theory of Moral Sentiments was a study of the nature and the motives of moral thought, based on the thesis that conscience is not an intrinsic value, but arises from social relationships. The book aimed to explain the source of man's ability to form moral judgments, despite his natural inclination towards his own self-interest. Smith suggested that this source was sympathy - the task of observing others, he argued, made one aware of himself and the morality of his behaviour. Theory provided the ethical and methodological underpinnings for Smith's later work. 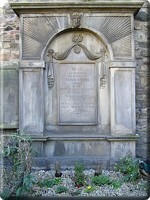 Smith taught at Glasgow for over ten years, resigning in 1763 to take up a lucrative offer as a tutor for Charles Townshend's stepson, the Duke of Buccleuch. 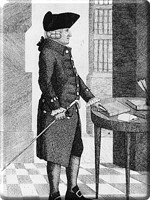 The party spent time in Geneva and Paris, where Smith associated with intellectuals such as Voltaire, Benjamin Franklin, Turgot, and Francois Quesnay, head of the Physiocratic school of economic thought, whose work Smith greatly admired. Physiocrats believed that a nation's economic wealth derived solely from the value of agriculture of land development. They emphasized agricultural production as the source of national wealth, in contrast with mercantilism, which based wealth on the state's accumulation of gold. 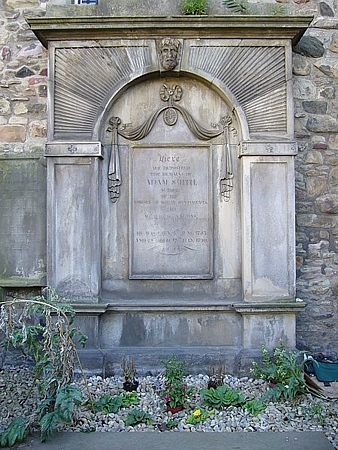 When Smith's tutorship ended in 1766, he returned to his mother's home in Kirkcaldy to write a book that would lay the foundation for modern economic thought. The Wealth of Nations, which took a decade to write, was published in 1776. The Wealth of Nations, heralded by former US Federal Reserve Board Chairman Allan Greenspan as "one of the greatest achievements in human intellectual history", was one of the earliest attempts to study the rise of industry and commercial development in Europe. 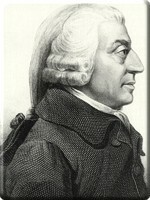 It championed free international trade as opposed to mercantilism, advocating the free market as the best possible economy. While the free market appeared to be chaotic and unrestrained, Smith suggested the "invisible hand" of supply and demand regulated the most efficient use of a nation's resources. The rule of supply and demand stated that prices rise when demand for a product exceeds the supply of the product; when the supply is greater than the demand for a product, however, prices fall. Smith also believed that the rational self-interest and competition of the free market were building-blocks for national prosperity. The individual, when working to maximize his own personal profit, is guided by the "invisible hand," and unknowingly benefits society as a whole. Smith believed that members of a wealthy commercial society would care for one another through acts of charity. After his death, it was discovered that he had been giving away sizeable sums of money to people who had fallen on hard times. Although he had earned a healthy annual income of approximately �900, he left behind only �400 at the time of his death, mostly valued from his large personal library. Anecdotes told by Smith's friends cast him as the typical absent-minded professor. Charles Townshend reported that Smith walked right in to a huge tanning pit from which he had to be removed while they were discussing free trade on a tour of the factory. Another episode describes Smith liquefying bread and butter in a teapot. When he tasted it, he declared it was the worst cup of tea he had ever put to his lips! Still another example recalls the time he went outside in his nightgown and started daydreaming; he was recalled to reality by church bells, only to realize that he had wandered fifteen kilometers from home! Rae, John , Life of Adam Smith, Macmillian & Co: New York, 1895. p.5.